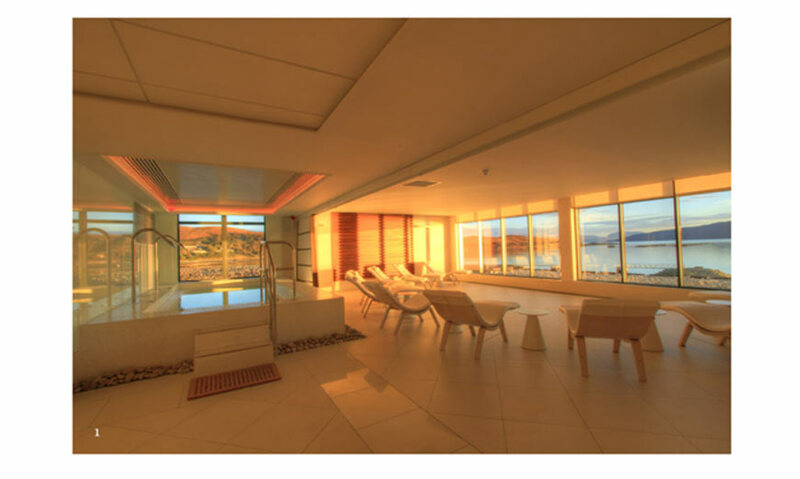 Situated in a picturesque village overlooking the idyllic Loch Fyne on the west coast of Scotland, the Portavadie Spa & Leisure Complex is a world-class retreat. Working closely with the specifier Stewart Associates, CTD Architectural Tiles were chosen to supply tiles to this luxury development. Installation was undertaken by the Tiling Company (Northern) whose mission was to turn the design aspirations into a reality. 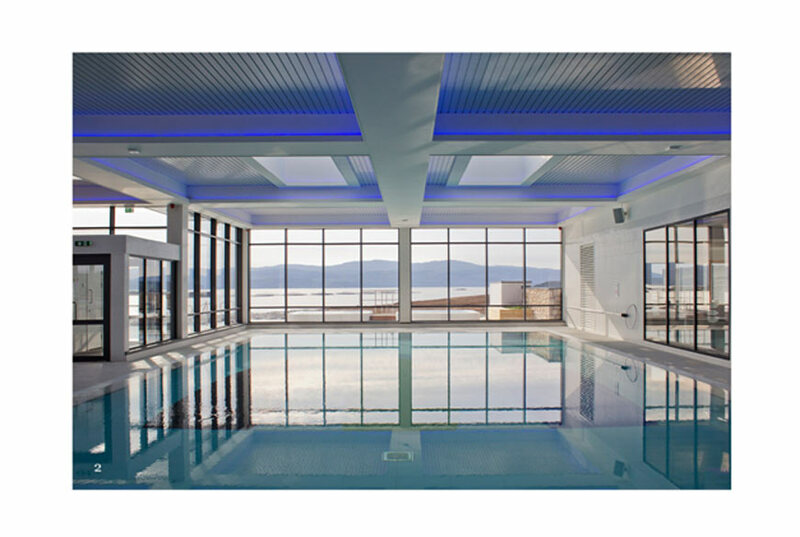 A pioneering architectural practice, Stewart Associates developed a carefully thought out design and interior to provide guests with a luxurious and welcoming experience at Portavadie. Maintaining quality throughout, the brief for the project was to create a seamless and harmonious flow between the interior and the landscape. 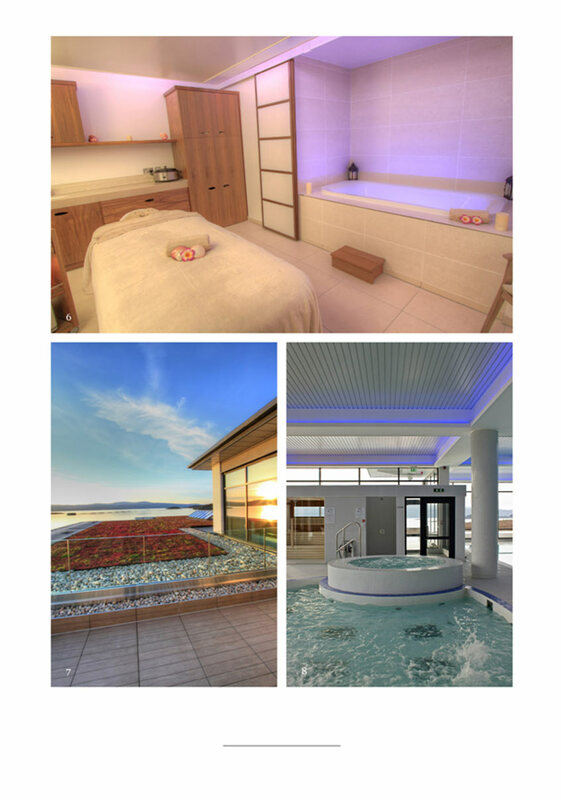 A light-filled modern facility, the flooring choice throughout was paramount in helping to achieve a feeling of serenity and calm. Featuring a number of wet areas, it was vital to choose a tile range that would offer the correct level of anti-slip resistance whilst maintaining a light and modern appearance. CTD Granus, a porcelain tile range which offers a vein cut stone look in 18 sizes, 18 colours in natural, structured, bush hammered, honed and polished finish has been used throughout the development due to its versatility and hard wearing qualities. The CTD Sistem N porcelain tile range with its neutral colour palette also helps to set the tranquil mood whilst being durable and aesthetically pleasing. This range also has excellent technical properties and achieves +36 PTV on the natural finish. 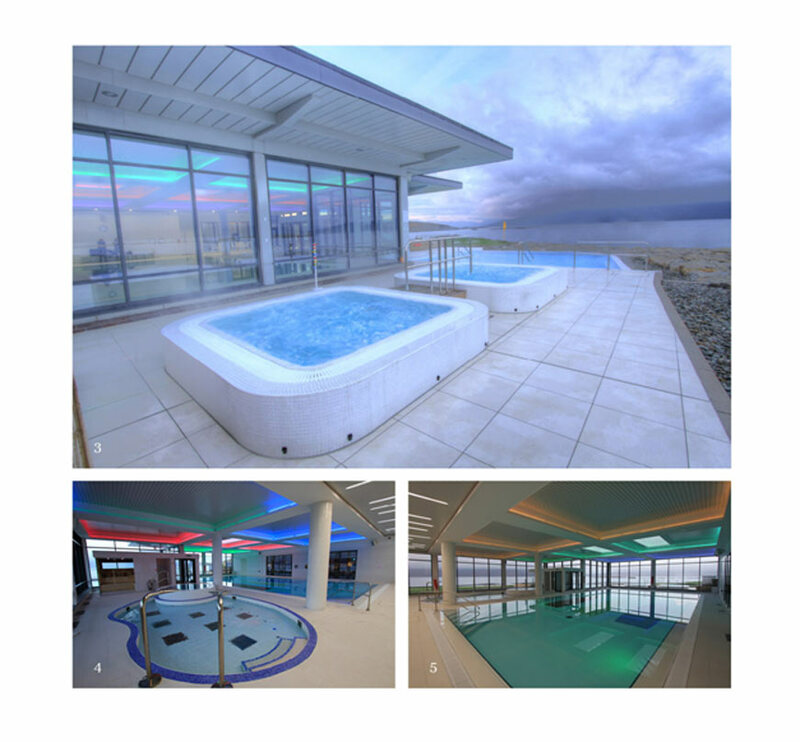 The superb infinity pool and hydro pools help provide a tranquil and relaxing experience and have been created using the innovative System 9 pool product which consists of a prefabricated pool edging piece formed by waterproof concrete blocks. Each piece works as a channel and support for the overlaid tiles. It is an ideal system for building overflow pools, be it public or private. Part of the Saint-Gobain family, CTD Architectural Tiles specialises in the supply of high quality ceramic tile finishes and tiling solutions across all sectors in the UK commercial specification market. With clients in a variety of sectors including the leisure, retail, hospitality industries, CTD Architectural Tiles is committed to bringing customers the latest innovations in product and in service.